We had originally arranged to drop our belongings off in Denver at the storage unit we rented and stay the night at our friends’ home to get a good night sleep after the grueling move. You never know what’s going to happen when you travel with kids. Those plans changed after Girlr threw up all over me. Twice. I was afraid she may have come down with the flu and didn’t want her getting our friends’ kids sick so we decided to forego sleep and hit the road. Turns out it was food poisoning from McDonald’s. No kidding! 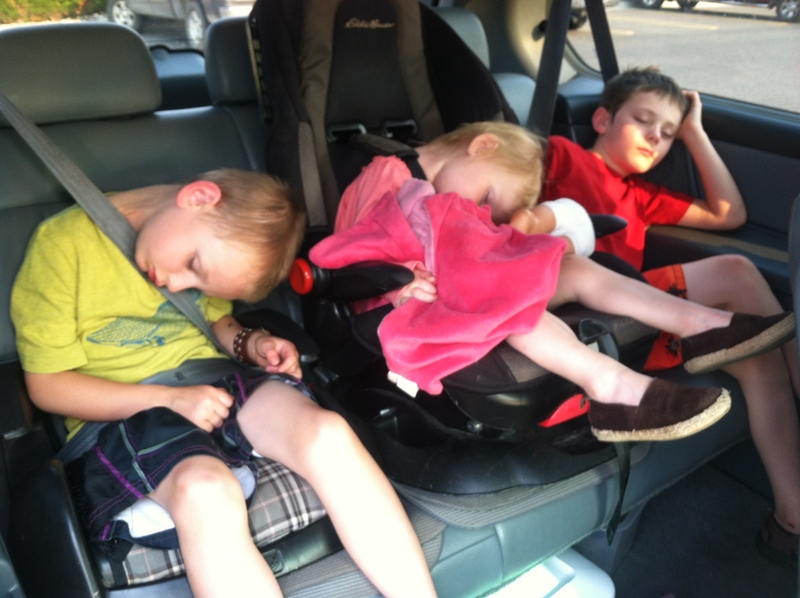 Traveling with kids can be challenging but driving through the night works well for us since our kids can fall asleep and wake up many hours down the road. It cuts down on the whining that is bound to happen on a long drive. As mountain starved as we’ve been we reveled at the sight of Bozeman’s Bridger and Gallatin mountain ranges as we arrived in the early morning. They aren’t particularly majestic but they are beautiful and we welcomed the sight of them. There is beauty everywhere if you look for it. Homesteads and farms scatter the landscape along I-90 east of town. Pine trees and firs populate the ground while streams and ponds wait to refresh the animals nearby. Secluded mountain top homes make me crave solace and quiet. The kind of quiet we will have to wait a couple decades for most likely. In the meantime, I guess we’ll keep the kids and settle for the occasional use of earplugs! In the past we have not been big into camping as a family. Not that we haven’t wanted to, it just hasn’t EVER happened. So when the opportunity to stay in The Man’s sisters’ camper presented itself we jumped at the opportunity. We just couldn’t resist that sweet smile E gave us in petition. The same one he flashes when he really wants something. It wasn’t hard to say yes. Let’s be honest, a huge temperature controlled trailer in the driveway is not exactly “roughing it” but it is a good way for our clan to ease into it nonetheless. 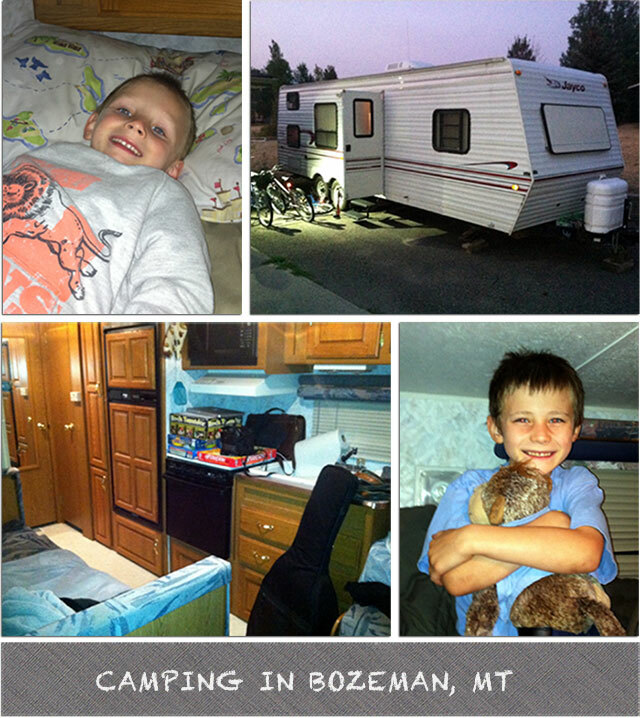 So yes, we camped in Montana and we liked it! Not a bad start to our crazy adventure. 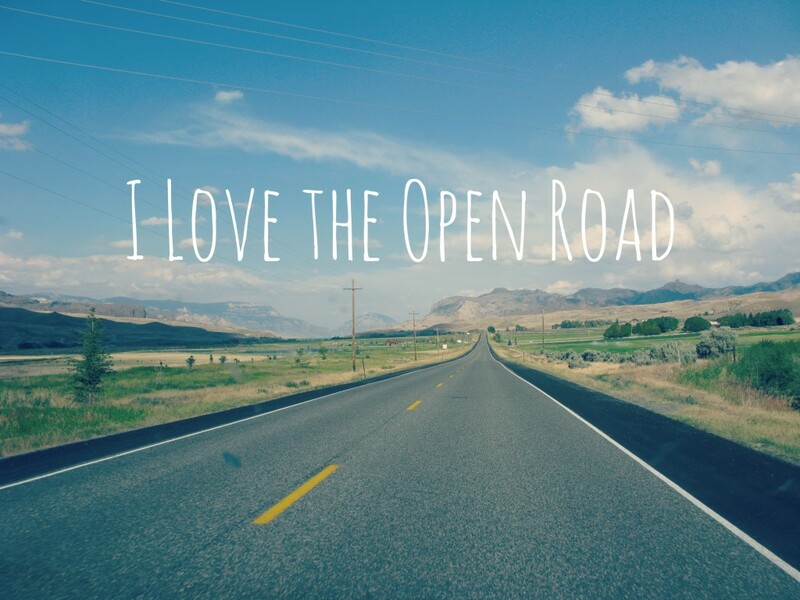 We don’t know where this road will take us, but we are excited for what’s ahead!